This slice was nice and messy, and I loved it, lol! There was plenty of meat and it had a good amount of cheese too! 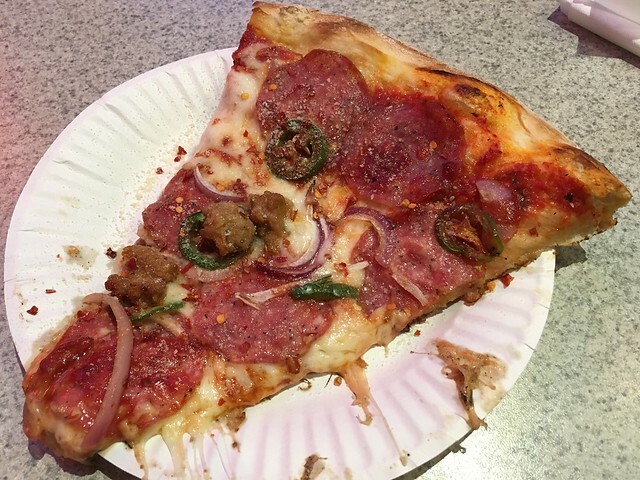 This entry was posted in Oz Pizza and tagged food, jalapenos, pepperoni, pizza, salami, sausage by vicentesf. Bookmark the permalink.